21 September 2018. By Matthew Holehouse and Simon Zekaria. Competition cooperation accords between the EU and other regulators in major marketplaces won’t cover the UK after Brexit, but there is little sign that it will strike replacement deals anytime soon. 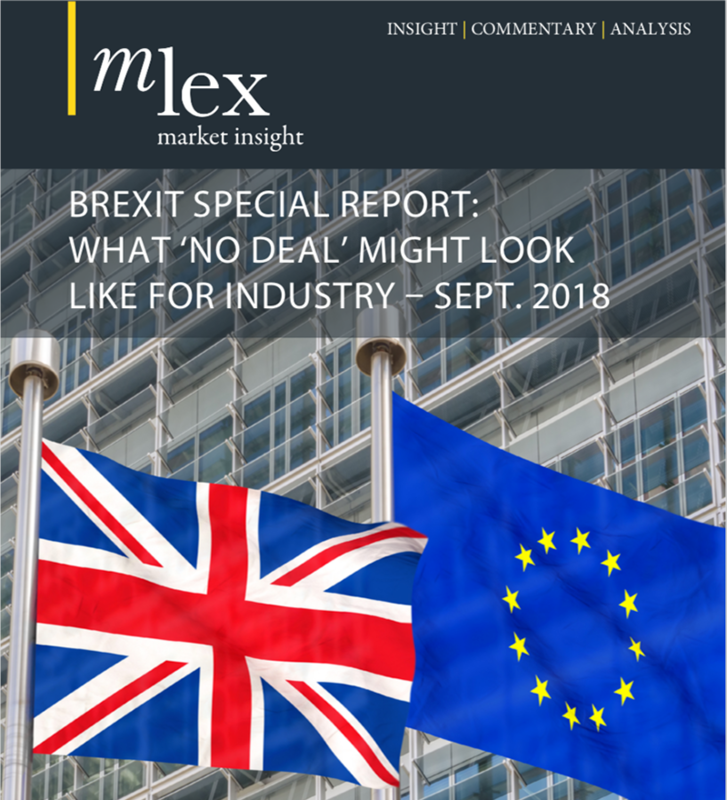 Authorities in jurisdictions across South America, Asia and Europe told MLex they aren't yet in talks with the UK about post-Brexit agreements to replace arrangements brokered by the European Commission. While regulators can cooperate on an ad-hoc basis, the loss of formal agreements could weaken enforcement on cross-border cases. The agreements commit regulators to coordinate their approach to merger reviews and antitrust probes, and in the case of more advanced agreements, share commercially-sensitive information. If the UK secures a formal EU withdrawal agreement and transition period, it will continue to enforce the bloc's competition policy and see the European Commission handle big cross-border cases until the end of that period on Dec. 31, 2020. The bloc’s international agreements would also continue to apply in the UK, subject to the consent of its non-EU partners. If withdrawal talks fail, these arrangements will automatically fall away on March 30 next year. The EU has standalone competition agreements with regulators in Brazil, Japan, US, Canada, Mexico, Switzerland, South Korea and Russia. It also includes competition provisions in free-trade agreements with other states. Brazil’s antitrust authority, the Administrative Council for Economic Defence, or CADE, said it hopes for a formal agreement after Brexit with the UK’s Competition and Markets Authority, or CMA, but they’re not in talks yet. CADE and the commission signed a memorandum of understanding on competition in 2009, which encourages the two regulators to avoid clashes in their enforcement activities and share non-confidential information about probes. “The impression is that they are so focused on preparing the United Kingdom’s withdrawal from the European Union that they probably haven’t been able to think anything about other authorities,” CADE President Alexandre Barreto told MLex. In the meantime, a spokesman for CADE said, the agency hopes to maintain relations with the CMA through the International Competition Network — an informal mechanism for cooperation between agencies globally — and doesn’t want to see a drop in cooperation. Japan’s competition watchdog also said it wants a formal agreement with the UK, but talks haven’t yet started. The 2003 EU-Japan agreement encourages the two parties to synchronize their enforcement activity and share confidential information about potential wrongdoing covering both territories. “We must start talks soon but haven’t at this moment,” Kazuhiro Hara, director at the Japan Fair Trade Commission’s International Affairs Division, told MLex. Japan may need to see how talks to upgrade its current cooperation agreement with the EU are settled before deciding to use it as a model for the UK, Hara said. But the UK’s competition policy has at least one clear distinction from that of the EU — the UK has criminal punishments in its antitrust-enforcement regime, as does Japan. “This is one area we cannot simply transfer our arrangements with the EU,” Hara said. Unlike customs and tariffs arrangements which impact day-to-day operations of companies, businesses can manage without antitrust cooperation in the short term, Hara said. Other states also played down the prospect of a swift replication of agreements. Switzerland has one of the most advanced cooperation agreements with the EU, signed in 2013. It allows investigators at the European Commission and Swiss Competition Commission to share commercially-confidential information and personal data without companies’ prior approval. The Swiss government is attempting to replicate its EU-based relations with the UK under a “mind the gap” policy. But while this will include the competition rules that are in the EU-Swiss free trade agreement, it won’t replicate the 2013 agreement between regulators. Mexico’s antitrust agency, the Federal Competition Commission of Mexico, isn’t yet in talks with the CMA to sign a post-Brexit agreement to replicate its 2018 accord with the EU, a spokesman said. The US isn’t rushing to draw up a post-Brexit trade relationship until it sees the shape of the UK’s final deal with the EU. And officials in South Korea cast doubt on a fast replication of its 2009 competition agreement with the EU. The Canadian Competition Bureau said it was monitoring the Brexit situation but wouldn’t comment further. Even though there are no accords in the pipeline, the UK is still hoping for a smooth transition. In a letter in March to the EU Internal Market Sub-Committee of the House of Lords, Parliament’s upper chamber, Andrew Griffiths — then the UK government’s minister for small business — said the UK “recognizes” that leaving the EU means the UK will no longer benefit from the bloc's cooperation agreements. A spokeswoman from the government’s business, energy and industrial strategy department told MLex that work is “ongoing,” without providing further detail. The government has never specified a timeframe for replicating agreements, but with Brexit day only six months away, the extra time offered by the transition period — if agreed — will offer breathing room. The issue is a microcosm, however, of a broader challenge for the British government to replicate up to 700 EU agreements with other states, covering trade, aviation, data transfers, fisheries and nuclear material. The government isn’t providing a clear picture of progress on these. It has said it will release a statement soon, as part of its no-deal contingency warnings. *Additional reporting by: Ana Paula Candil in Sao Paulo; Sachiko Sakamaki in Tokyo; Lewis Crofts in Brussels; Ron Lubosco in Seoul; Max Fillion in Washington DC; Richard Vanderford in New York; James Panichi in Melbourne.